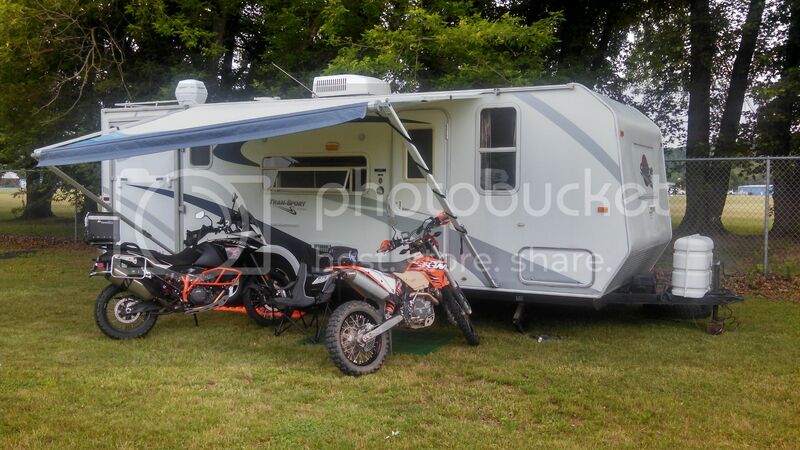 I'll be down all week, Camping and Riding . Another option in the same area of PA. Here and set up just starting to rain. Only 1 route tomorrow because of the weather and DCNR. Looks like we are doing the big bike route. Yup definably a fun one. I'll be there. I haven't made any reservations yet, but I'll split a room with you. Anybody got a spare bed or want to split a room?